A Victorian farmhouse and a family that has been looking after anglers for over 40 years thanks to the friendliness of Una Smith. There is fishing galore with two rivers (the Annalee runs through the grounds) and dozens of lakes. There are five ensuite bedrooms and one standard with TV. Guests have a choice of BB or evening meal, bed and breakfast. Boat for hire. What a great mix of fishing opportunities. There are lakes of all shapes and sizes and each year a “new” one seems to hit form. 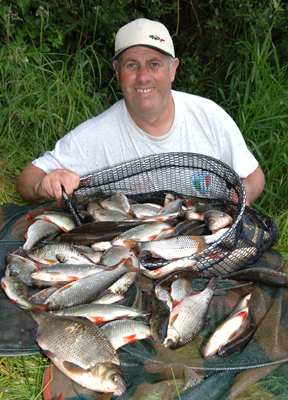 Consistent performers are Drumlona, Lisnalong and Killyvaghan, with plenty of bream up to 5lb likely on crumb-feeder gear using corn, worm and caster. The Dromore over is fine for a days sport but the better fishing prospects come from tackling the thirteen lakes on the meandering system.